My partner Rick and I recently took trip to New York with a large part of the Steves Family: his son Andy, daughter Jackie, sister Linda, youngest niece Caleigh, and eldest niece (and amazing artist) Nicolina. Part family vacation, part art tour of Nicolina’s works, we got to know the city better than we ever had. While we’re still no experts on this most famous metropolis, we hungry for even more of the Big Apple. In this multi-article series, we’ll explore NYC through past experiences (with my parents), new discoveries, standards of tradition, and current innovations. I hope you’ll join me and the Steves and Tejada families on this trip to New York, NY. What makes a city grand? Is it its history and architecture? Perhaps it has to do with its inhabitants. Transportation and infrastructure are crucial, and so is quality cuisine. But for me, one thing I really crave when I visit a city is a glimpse into its artistic culture. Exploring its museums, theaters, music venues, and even its repurposed spaces lets one peek at the soul of city–what it cherishes, what it hopes, what it feels, what it believes in. From what we’ve experienced in New York, it’s clear that her soul is vast, playful, clever, and daring. The city expresses itself in countless ways. It venerates history, acknowledges the present, and looks bravely to the future. It celebrates the individual, champions the whole, summons the masses, and flirts boldly with the fringe. And culture vultures have their pick of the lot anywhere they go in this town. 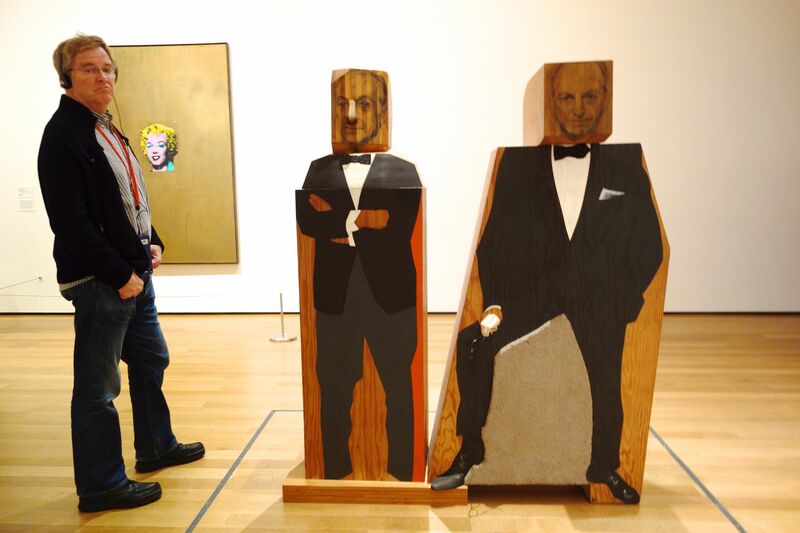 Rick admires the sculptures in the Met’s Charles Engelhard Court. The mammoth Beaux-Arts building housing the art of the Metropolitan Museum is formidable. As the United States’ largest museum, it boasts a permanent collection of 2 million works and counts more than 5 million visitors annually. Founded in 1870 by an alliance of artists, businessmen, financiers, and contemporary leading thinkers, it continues to embrace its original intent of bringing art and art education not only to the American people but also to visitors from all corners of the world. 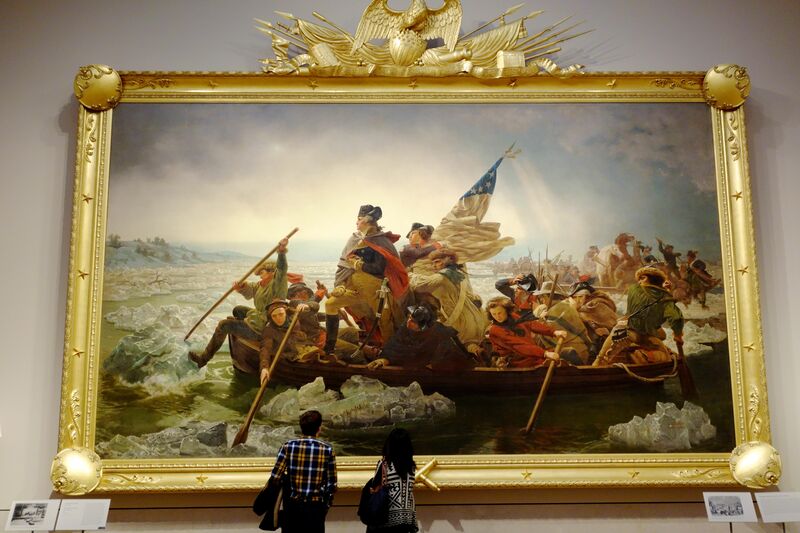 American history captured in art–Washington Crossing the Delaware. Within its walls, one can travel through time to explore classical antiquity, Ancient Egypt, European masters, American historical art, and Modern Art from the Western World. Should you prefer Byzantium, the Middle East, Asia, Africa, or Oceania, whet your cultural whistle with art from each of those locales. And if you want to see how Man manifests both its romantic and barbaric sides, survey its global collection of musical instruments, costumes, armor, and weapons. 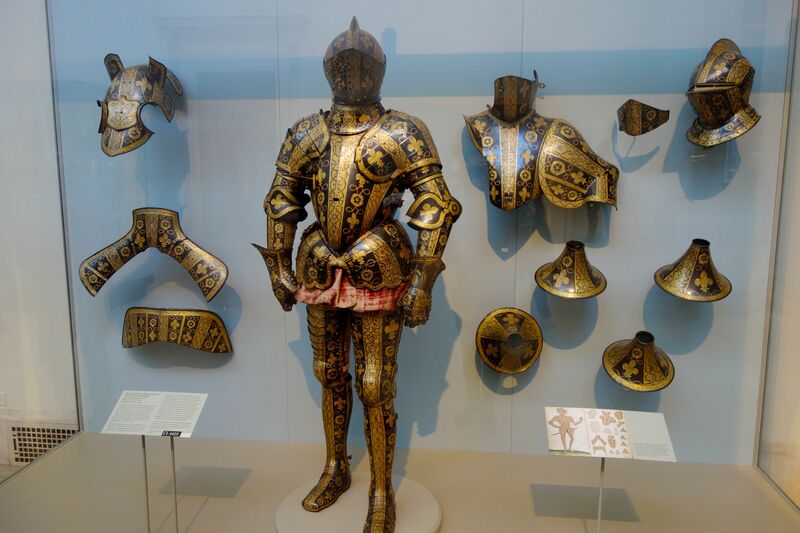 Expertly crafted and artfully detailed armor show how art and war can intertwine. A visit to this kind of grand-scope museum helps us understand from whence we came. And it culturally allows us to understand who we are now and to figure out who we hope to become. New York and Broadway are virtual synonyms. Dramas, comedies, traditional and quirky musicals all find a home on the Great White Way. Not all in our travel party cleave naturally to a show with choreographed numbers, rhyming dialogues set to balladic orchestrations, and shiny costumes. 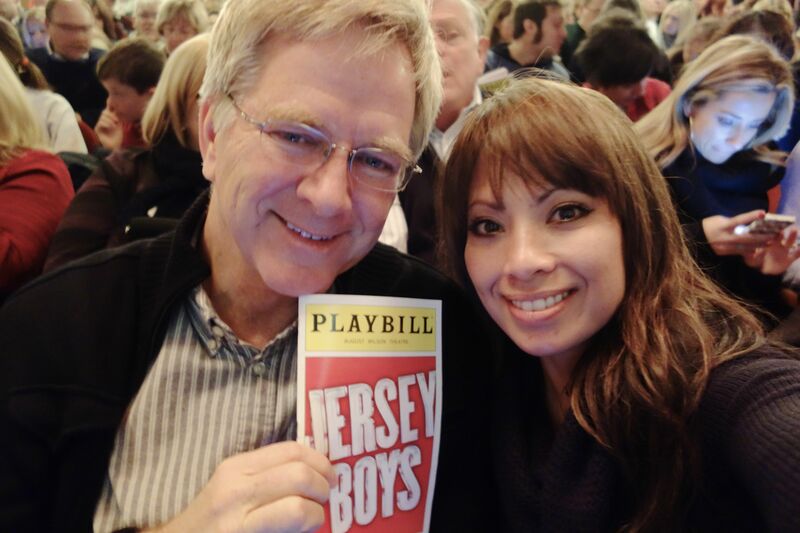 But for those of us who do, watching the Tony Award-winning Jersey Boys is the bee’s knees. Part pop culture history lesson, part feel bad/feel good “dramedy”, part stroll down pop music memory lane, this musical is a sturdy bridge upon which musical-lovers and those who are musical-ambivalent can meet and stroll together in synchronized unison. Joseph Leo Bwarie graciously welcomed us backstage after amazing performance to give us a tour of the theater. Full disclosure: my friend’s eldest brother, Joseph Leo Bwarie, plays the lead (Frankie Valli) in this Broadway production. So I’m a smidge biased about extolling the virtues of this musical. But, this was my third time watching this show (previously in London with Rick and in Las Vegas with my besties), so I’d say my partiality is due more to the overall quality of the show, rather than who stars in it. Nonetheless, JLB, you rocked! 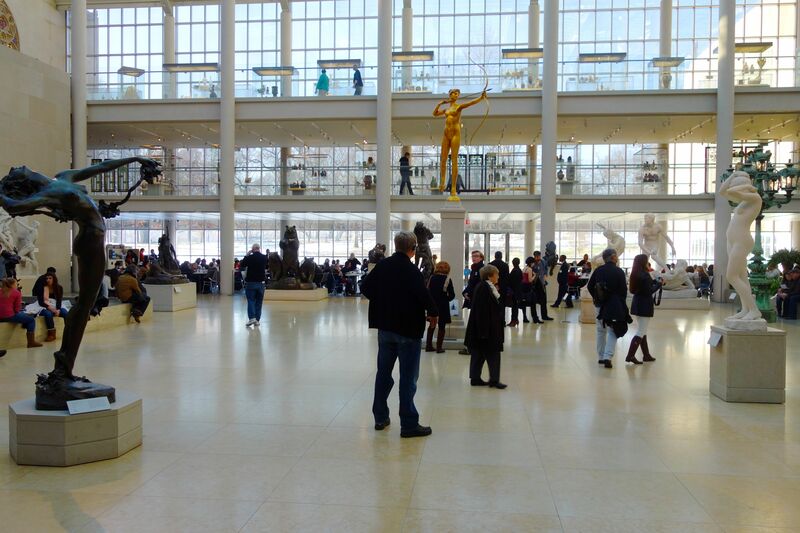 Another can’t-miss-unless-you’re-crazy institution of culture is the Museum of Modern Art. Even if you can only be there for the last 1.5 hours before it closes–as was the case with us–it’s well worth your touristic time. 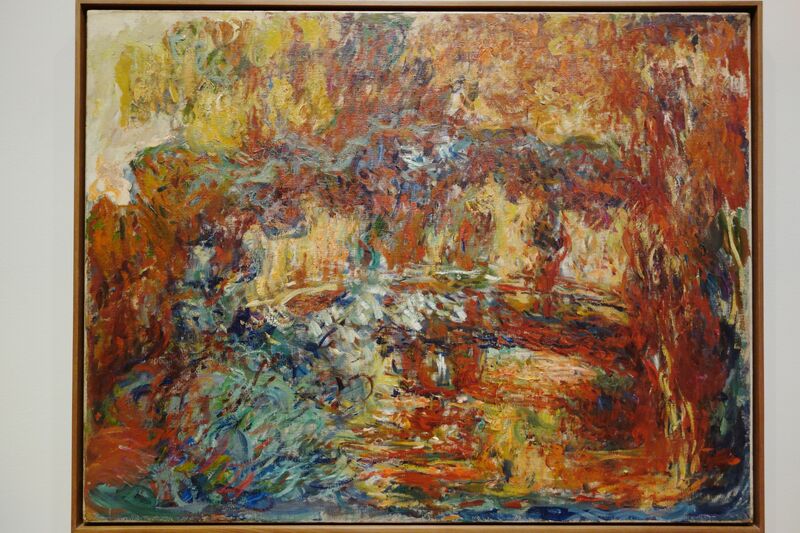 Works from the virtuosos of Impressionism, Post-Impressionism, Modern, Post-Modern, and Pop Art grace the walls and halls of MOMA. While their creations are in museums the world over, it’s their congregation and juxtaposition here that makes visiting this museum so worthwhile. 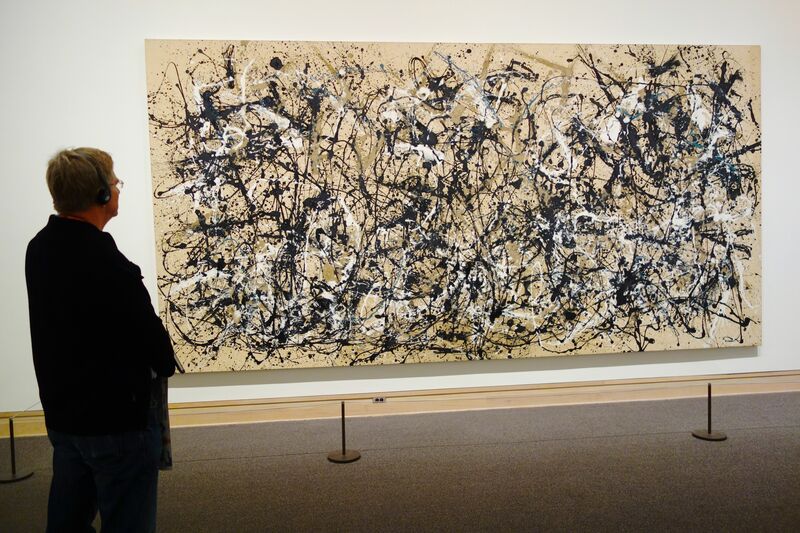 Here, you can begin to better understand the evolution of Modern Art. 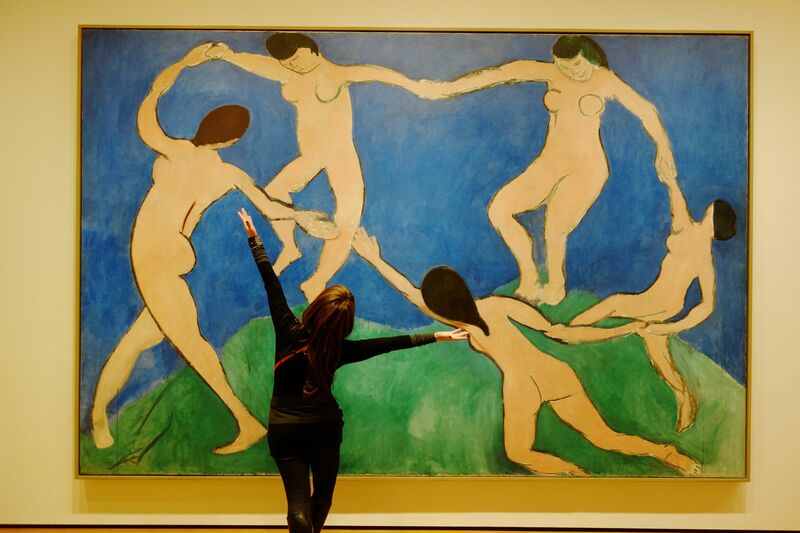 Dancing with Henri Matisse’s Dance (I). We wandered from room to room and floor to floor. We–like so many others–took pictures of paintings, sculptures, and installations that compelled us to feel joy, pain, bewilderment, peace, and even disgust. We danced with the paintings, chuckled at clever graphics, shook our heads at nonsensical video collages, and called “balderdash” on abhorrent abstractions. Whatever you feel, allow yourself to feel it. There is no right or wrong. Every individual’s reaction is valid, as is the composition that provokes your emotions. What feelings do these pieces provoke in you? 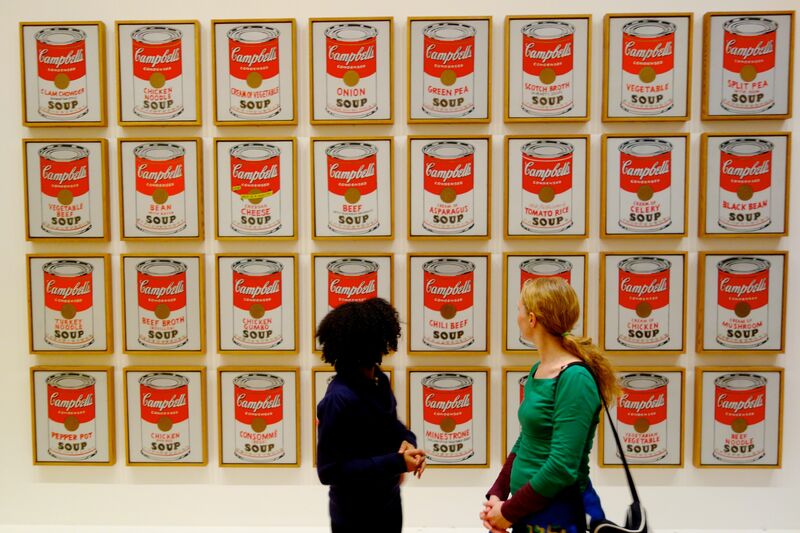 Campbell’s Soup Cans by Andy Warhol invites us to reflect on sentiment, comfort, mass production, and mass consumption. Artists borrow from the past to spur them to create pieces that speak to their own dilemmas, curiosities, fascinations, neuroses, and observations of the world around them. MOMA provides a loving home for their inspired works, and, through art, invites us to recognize not only the distinct individuality of talented artists, but also, by emotional extension, our own. Even with a growing understanding of Modern Art, I’m still inclined to flock to the more mainstream works of any particular genre. So when Nicolina (Rick’s niece) made repeated requests for us to watch Sleep No More–a performance art thriller staged in a repurposed Chelsea warehouse, I hesitated. The fine line between ingenious and pretentious has too often been crossed, and I was ambivalent about spending a Benjamin per person on crap. A modern twist on Shakespeare’s “Macbeth,” Sleep No More debuted in 2011 and continues to consistently sell out its performances. Is it that good or is it just hype? I sometimes wonder how easily the masses succumb to “The Emperor’s New Clothes Syndrome.” The less we understand the, louder we applaud for fear of being the one who doesn’t get it. But how do you judge a thing when you don’t know what to expect? Quite easily, it turns out; but I quickly learned that assumption is not always followed by disappointment. Scouring the Internet for any show info, I learned that we (the audience) would be passively involved in the story. We’d be prohibited from talking for nearly three hours, and we’d be required to don masks and stow our cameras. The objective: to maintain anonymity, and–as we would learn first-hand–to intensify our own individual fears. We had to mentally prepare ourselves to be separated because the multi-story labyrinth in which the show takes place (like the show itself) is designed to evoke chaos and confusion. It’s a “choose your own adventure” full of multiple story lines which you can follow straight through or jump from one to the other. The show unfolds not exactly chronologically but rather in overlapping sequences. Pick this room and you’ll see a couple fighting. Go in here and read the letters of woman who has mysteriously disappeared. See the home where tragedy has clearly taken place yet is unexplained, left to the imagination. Follow the rapidly walking crowd and witness a fight between two svelte and sweaty men. There is no dialogue, and all the movements are choreographed, painstakingly thought out. Everything is a kind of dance in which the human form is a canvas for shape, strength, fragility, and raw emotion. And since we, the masked audience, cannot speak or even engage with anyone through facial expressions or eye contact, we are left to our own haunting thoughts, diabolical imaginations, fear, and confusion. In the last room, the show reaches its psychedelic, strobe-lighted, insanity-driven climax. I couldn’t take my eyes off the garish scene before me, and I was surprised that my inner deviant did not want the show to end. When it finally did, I slipped off my mask and just stood there, trying to process everything I had witnessed in the last three hours. I had no words and was grateful to overhear someone near me say, “I don’t what the f*#k all this was, but I loved it!” Ditto. Culture is many things to many people, and New York is expert at celebrating its culture in all it forms. Each part contributes to the whole. Every facet reveals this grand city’s many and distinct personalities as pieces of its soul. You may not fully get it, but you just might love it. And like a true culture vulture, you’ll hunger for more. Previous Post Friendly Donuts: Fad or Fabulous? Where was the skyline picture taken? 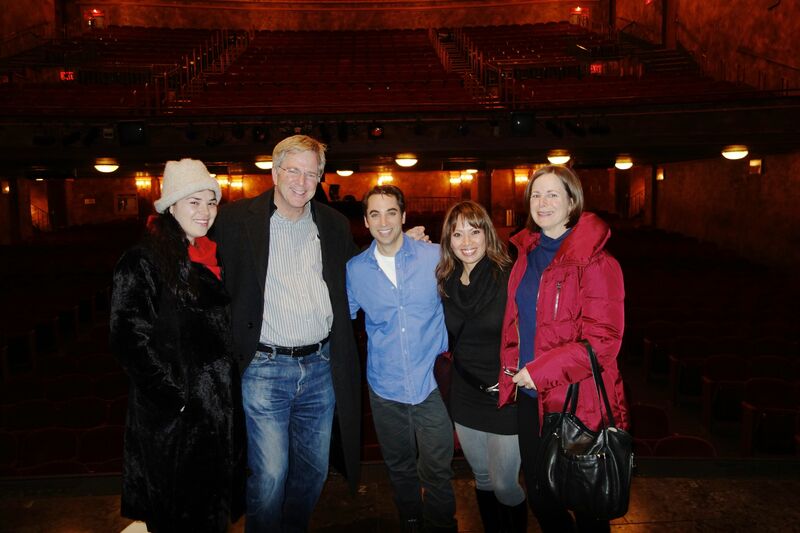 I loved Jersey Boys! We went a couple years ago to New York to celebrate our friends 60th birthday (she is a few years older than us), so this was really her era! Loved Loved Loved it, that was a fabulous trip for the four of us! Judy, I just found out that the Jersey Boys movie (directed by Clint Eastwood) is coming out this summer. I’m pretty sure I’ll be singing all the songs in the movie theater. Me too! Sold! Because the husband loves Clint Eastwood.